Water filters are an important fixture in all homes because they ensure that the water that reaches the faucets and other outlets is clean and contaminant-free. 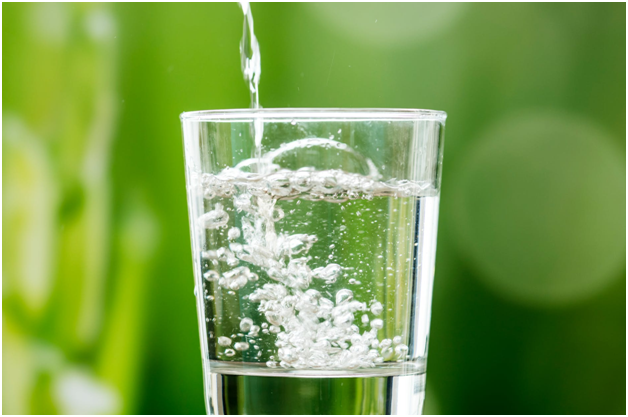 Contaminated water or water that has harmful elements tastes bad and makes people and animals ill. A water filter of good quality should work seamlessly in a long period of time before you have to replace it. These factors also determine how frequently you will change your water filter. However, you may have to rely on manufacturers. If you neglect to replace your whole house water filter system cartridges, you are setting yourself up for problems with your water supply. When the water filtration system malfunctions, you will be putting your family’s health at risk because the system will not conduct its usual function. Even when you do routine checks on the purification system, problems occasionally arise. When you fail to maintain your whole house water filter or install the wrong filtration system for your water type, problems will arise. One complication can come in the form of an inability of the system to remove the contaminants in the water. Alternatively, the debris already trapped in the cartridge can wash into your drinking water. We shall cover the common issues that occur with water filters and how you can solve them. The water is contaminated with Hydrogen Sulfide, Chlorine, or other dissolved elements. The water filter is clogged. If the filter is clogged, bacterial plaques can grow on the filter. To solve this problem, have your water tested to determine the cause of the bad taste or smell. If you haven’t replaced your filter cartridge within the recommended replacement schedule, do it. It could be the one harboring bacteria and other contaminants. to your water type. Have a look at the conclusive list of modern water filters (and their unique properties) that BOS has listed. You may have been using the wrong filter all along. The problem could be with your water provider. They may be having issues on their end, and could, therefore, instruct you to stop drinking your water for some time as they work on it. When your water pressure starts dropping while other people connected to your water provider are not facing this challenge, the culprit is a clogged water filter. If you haven’t replaced your water filter as you should, there will be a sediment buildup that will clog the aerator. The sediment will prevent enough water from flowing to your faucet. It can cause an increase in pressure on your pipes (prior to the filter). The high pressure can cause pipe bursts. A clogged filter is also a nice place for bacterial plaques to thrive and contaminate the water. The filter will not be effective at getting rid of contaminants. Replace the old cartridge with a new one. Find a sediment filter that has a higher micron rating. The issue may be that you are using a filter with a low micron rating relative to the water it is filtering. Use Lime removal agents. Plumbers use these chemicals to disintegrate the sediment built-up to clear the pathway. If you are using an ionic filter, replace the beads. Most whole house water filters connections are done using compression fittings. This means that the chances of leakages are minimal. This, however, does not rule out their occurrence entirely. Since leakages can occur in a variety of places, tighten any loose fittings and if the filter is leaking, replace it. Reverse Osmosis (RO) filters are susceptible to this problem. You will notice the water constantly running to drain. Low pressure. RO systems need a relatively high water pressure to work properly. RO filters require unique maintenance practices. Nevertheless, you can solve this problem by replacing the RO filter membrane. If the problem persists, it means that the pressure levels are lower than they should be. To increase the water pressure, install a booster pump to raise the pressure levels. There could be problems with your check valve or automatic shut off valve. In this case, you will need to replace it. Water with a high mineral content is called hard water. It stains appliances, causes skin irritation and dull hair, and increases the amount of detergent used. Another kind of staining takes place when you start noticing orange stains on clothing, or rusty streaks on appliances. This one is attributed to high iron content. The hard water issue is solved by using a water softener. High iron content can be tackled by changing the filter or installing a whole home water filter system equipped to deal with the problem. From our analysis, you can see that most of these common water filter issues are caused by not replacing your filter cartridges on time or using a water filter system that is not compatible with the type of water you are supplied with. Even when you constantly maintain your system, problems are still unavoidable. However, it is easier to work them out if you conduct these maintenance practices. A well-functioning water filter system ensures that you maintain the health of your family.